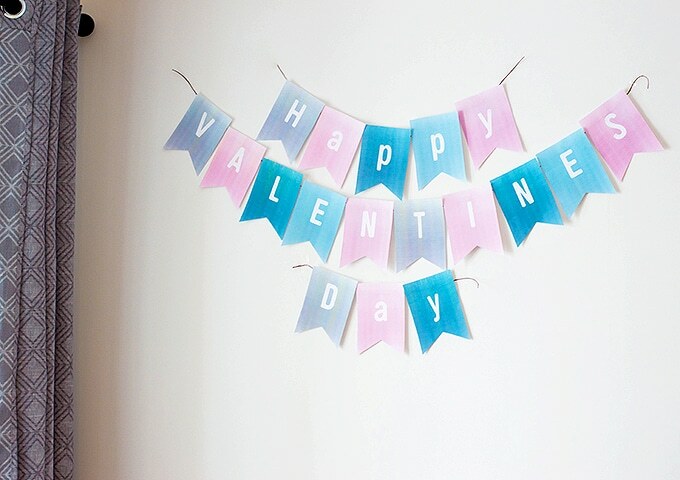 FREE Valentine’s Day Banner Printable is a fun way to decorate your home for V-day. 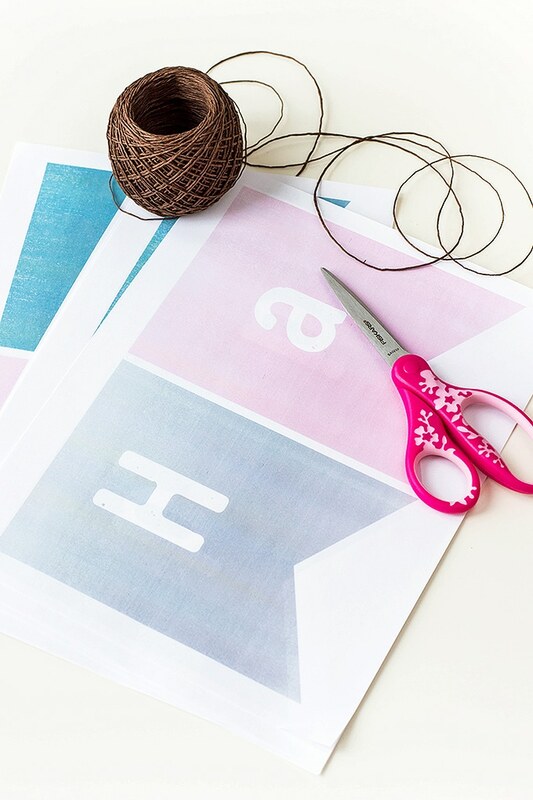 This garland is easy to use, just print, cut, attach twine, and hang on the wall! I posted some pretty sweet Valentine’s printables such as treat bag toppers, cupcake toppers, and love coupons and I hope they help you celebrate the day with lotsa ♥ . I am also updating this banner printable I first in 2016 with new photos, just in case you’re looking for last-minute party decor. 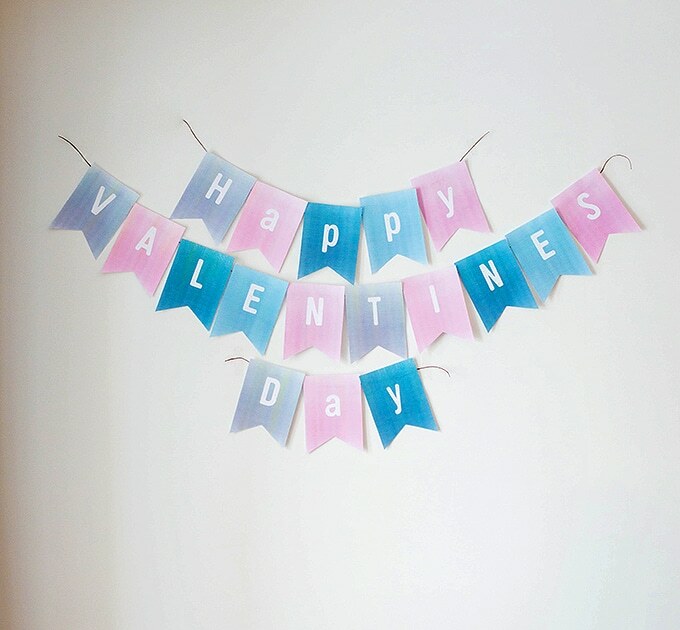 This Valentine’s Day garland is so simple to make, all you need are baker’s twine, glue sticks or tape, and card stock paper to print on. Download or print the printable here. Cut each letter with scissors by following the pattern. 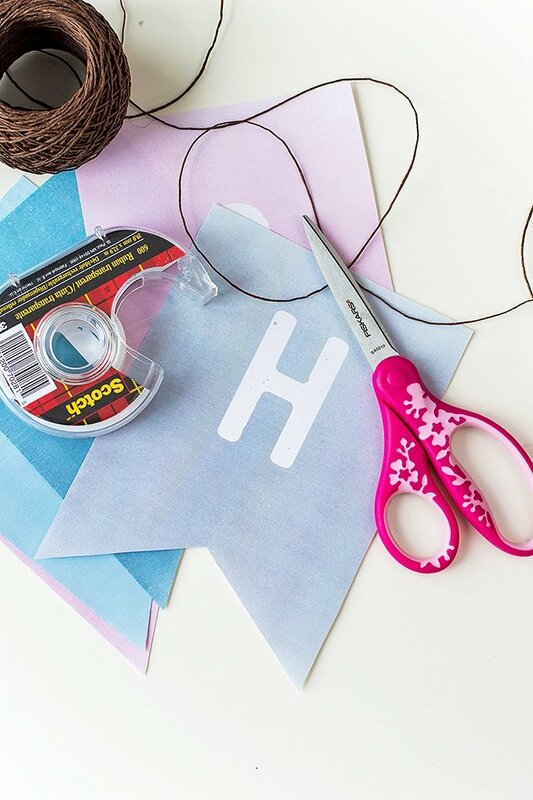 Glue or tape on a length of kitchen twine to secure and to form the garland. 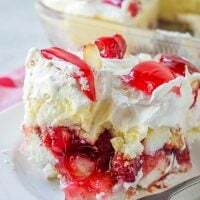 Hang the banner across a window, across a mantel, on a wall or over a doorway to easily liven up space for Valentine’s Day!